This is the first Wednesday in five weeks that I haven't had the pleasure of reviewing a new episode of The X-Files. It's a little disappointing. But with the six-episode revival behind us, it is time to dig deep into "My Struggle II" and begin to look at what comes next, or more accurately, what could come next. A little speculation is healthy, right? At the very least, it passes the time until Season 11. The first question I have seen raised is a good one: Why is Mulder sick? That question comes about because we learned in the sixth/seventh season of The X-Files that Mulder was becoming an alien/human hybrid. That's the very thing that the Cigarette Smoking Man and the Syndicate had been attempting to create for fifty years. 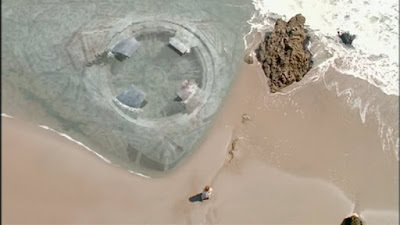 Mulder's "alien" aspect was activated, in particular, by his proximity to the alien saucer discovered on the Ivory Coast in "Biogenesis" (May 16, 1999). We saw in the seventh season of the series, in "The Sixth Extinction"/"Amor Fati," (November 14, 1999) that The Cigarette Smoking Man coveted Mulder's status as a hybrid (and savior of mankind), and wanted to be that biological hybrid, himself. Accordingly, Mulder was captured by CSM, and experiments were completed to remove the alien DNA from him, apparently, and give it to CSM instead. 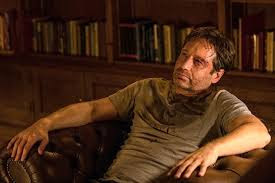 So one possible answer for Mulder's illness in "My Struggle" is simply that he no longer possesses the alien DNA that would have saved his life. It was removed from him back in 1999. 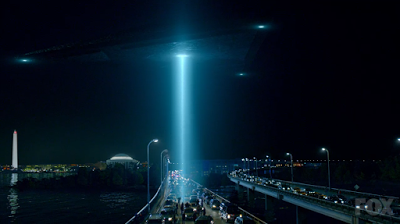 Another, perhaps more complex answer, involves the aliens that abducted Mulder in Season 8 of The X-Files. Perhaps, at that point, Mulder still possessed alien DNA, or remnants of alien DNA, but the aliens -- who were converting him into a Super Soldier/Sleeper Agent, essentially -- removed it from him. Those aliens, infiltrating the U.S. government, were making an alien replacement of Mulder, essentially, in case you have forgotten. He would still look and act like Mulder; he would still walk among us. But he would be an "invader." That process was hindered, however, when Scully saved Mulder...who had been pronounced dead and was even buried in a cemetery. His body had to be exhumed, and only then, was Scully able to stop the super soldier process. It is possible that by interfering with this process or development, Scully inhibited the alien DNA Mulder still possessed. Or, it is possible that the act of "dying" actually de-activated the alien DNA in Mulder. Basically, this mystery is one that can be easily solved using established X-Files continuity. Mulder did possess alien DNA at some point, but has been through so much -- whether human or alien experimentation, or even death itself -- that said DNA is now inert, and requires stem cells from William to be reactivated. The second question involves Monica Reyes (Annabeth Gish). Why would this trusting, brave agent -- who has always stood her ground, no matter what -- cave to CSM for the mere promise of survival? I have seen Monica's behavior in "My Struggle II" described as "character assassination" in some quarters, but I feel very strongly that we haven't seen the whole story regarding her apparent betrayal. In the first case, who has Monica actually betrayed here? In one sense, Reyes has positioned herself brilliantly as a double agent. She reports to the CSM so -- at the right time -- she can inform Scully about what is going on, and how to stop it. The person she actually betrays? CSM! In one sense, Monica's act of "betrayal" is actually incredibly self-less. Upon learning that CSM is alive, she keeps him close, watching his every move. As soon as the final strategy is launched, her first act is to contact Scully. Scully calls her a coward and is quite harsh with her, but in fact, Monica is the one who has made a cure possible. Assuming you don't buy that explanation, ask yourself if CSM had some additional leverage over Monica that hasn't yet been revealed. Then ask yourself who we didn't see in this revival. Is it possible that CSM has done something horrible to John Doggett, and is holding him hostage, to keep Monica under his thumb? This answer not only explains Doggett's absence (and exonerates Monica, basically), it leaves an opening for Robert Patrick to return to the series in some capacity. Furthermore, there is history in the Chris Carter universe of betrayals of this nature. Remember in the third season of Millennium how Emma Hollis was coerced into joining the Millennium Group by the promise of an Alzheimer's cure for her failing father? It is possible Monica faced a similar devil's bargain here. We just may not know what she was bargaining for. 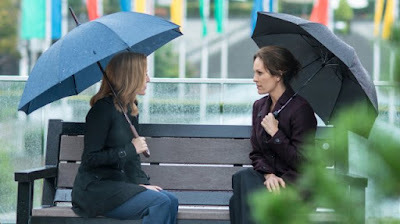 I confess, I want to know more on this front because I am huge fan of Monica Reyes, and have never imagined, even for a second, that she places such a premium on personal survival that she would sacrifice the rest of humanity for it. There is, however, one other grim possibility. 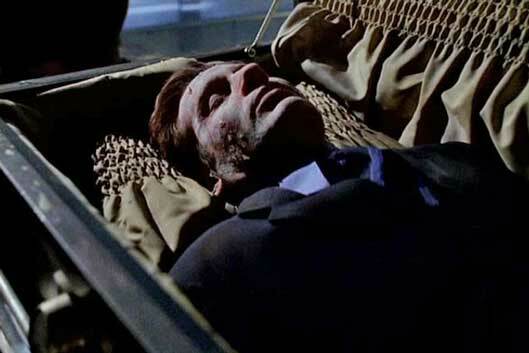 The X-Files episode "Hellbound" (January 27, 2002), reveals that Monica is the reincarnated soul of someone involved in a terrible incident: a bloody, mass murder from 1868. Her soul has returned to this mortal coil, connected to that event, in incidents in 1909 and 1960. In 2002, Monica learned of this vicious circle and was informed, by the murderer that her soul is always the same; always notable for one thing: failure. In 2002, Monica overcomes this deficit and solves the longstanding murder case, ending -- we presume -- the cycle of violent death and reincarnation. Is it possible that having over-turned her intended destiny in 2002, Monica dooms herself to it again in 2016? That she fails when she is needed the most -- to save the human race? I hope that's not the case, but surely this is something about the character's history we can't simply ignore. If Monica is destined to fail, then her siding with the CSM is not an accident. It is fate. Question #3: What exactly does Scully see, above her, on the bridge? An ARV or a UFO? This question revolves around the ship that targets Scully in the closing moments of "My Struggle II." Is it an ARV, like we saw in "My Struggle," or is it an actual alien craft? If it is an ARV (alien replica vehicle) it is undoubtedly there to kill Scully. She has created a vaccine to the engineered plague, and is therefore a grave threat to the CSM's strategy. It makes sense that the new conspiracy would target Scully, and take her out. Remember how "My Struggle II" actually book-ends "My Struggle I," structurally-speaking? In the first episode, Mulder recounted his history. In the last, Scully recounted hers. Well, in the first episode, we get a person with alien DNA, Sveta, murdered by an ARV. And in the book-end, "My Struggle II," we see the ARV targeting another person with alien DNA: Scully. Or, contrarily, the ship in the night sky could be legitimately alien in nature, and thus our introduction to a force not explored in the six part revival series: aliens. Perhaps the aliens have come to Earth, watching the plague unfold, and are also interested in Scully's activities. Well, she is the fruition of the CSM's work with the Syndicate. She is a human/alien hybrid, who has created a vaccine using it. That's what the CSM was after all along, and what the aliens -- under no circumstances -- want humans to possess. Check out Christopher Loring Knowles' brilliant explanation of this possible story twist at The Secret Sun, here. He lays out a whole new "conspiracy" arc theory, based on the Mytharc, that makes total sense. Next week, I'll speculate a little more -- based on "My Struggle II" -- about William, and the future of this provocative revival series. In the meantime, be certain to check out Matt Allair's exclusive interview with writer/director James Wong, now posted at The X-Files Lexicon. Yes yes yes! My thoughts exactly, as far as Mulder getting sick goes. And if you think about it, this could also explain how CSM survived the missle blast in Season 9: His inheritance of Mulder's alien DNA made him part alien himself, immune to getting sick from the "Spartan Virus" - but perhaps it allowed him to also regenerate living tissue similar to a Super Soldier? He's obviously not the same thing, otherwise he'd regenerate with no complications. 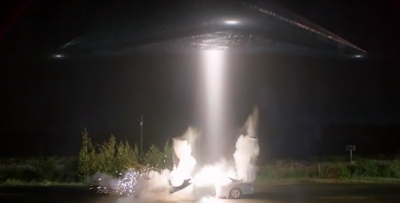 But perhaps inheriting Mulder's Alien DNA created some sort of side-effect that allowed him to survive!